My husband and I love to entertain. Whether it’s inviting co-workers for an offsite meeting, hosting the community holiday party, or just grilling out with friends or family, we enjoy having company around and making sure they have a great time! It’s no different when guests visit for an extended stay. We roll out the red carpet, so they feel comfortable and cozy, making their stay a “home away from home”. Upon entering the house, we like our guests to have an all sensory experience: sight, sound, smell, taste, and touch. My husband likes to have music playing in the background, and I have the candles lit for a nice ambiance. We have snacks or hors-d’oeuvres prepared ahead of time (fruit and veggie tray or cheese and crackers anyone? ), which helps curb that hunger, especially after a long flight. 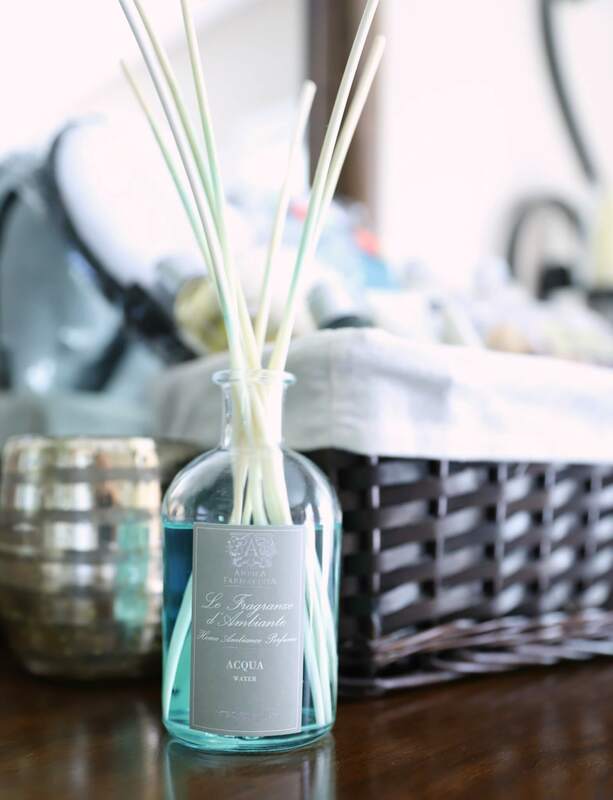 When walking into their room, the first thing they will notice is the refreshing scent. My all-time favorite room diffuser, Antica Farmacista, permeates the air and makes them feel welcome (my go-to scents are usually Acqua, Prosecco, and Grapefruit). A luggage rack is available making it easier to unpack. 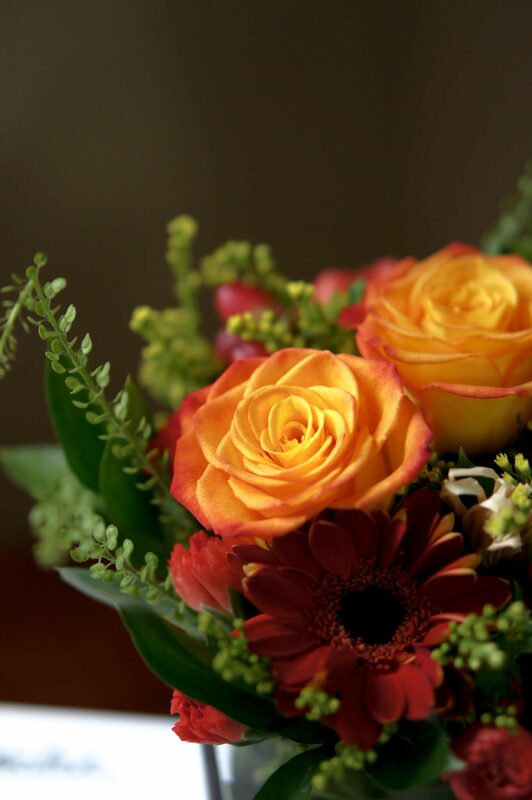 A beautiful bouquet of flowers greets them by the bedside. 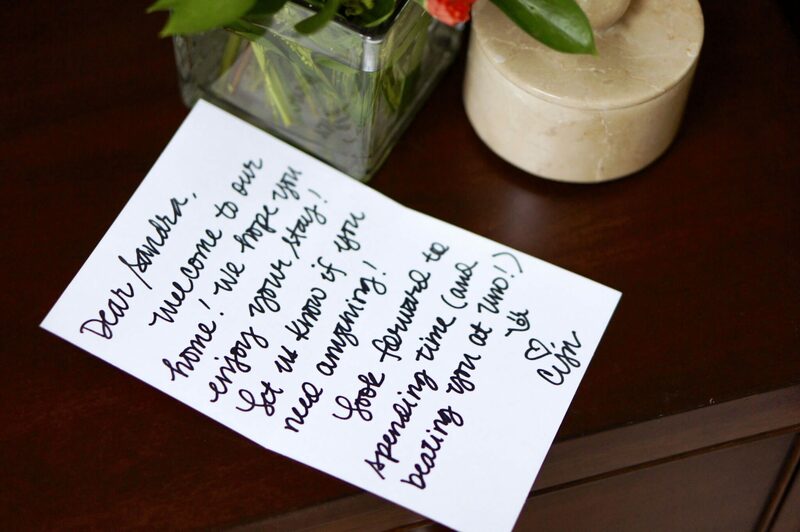 A note letting them know how happy you are having them visit provides a personal touch. 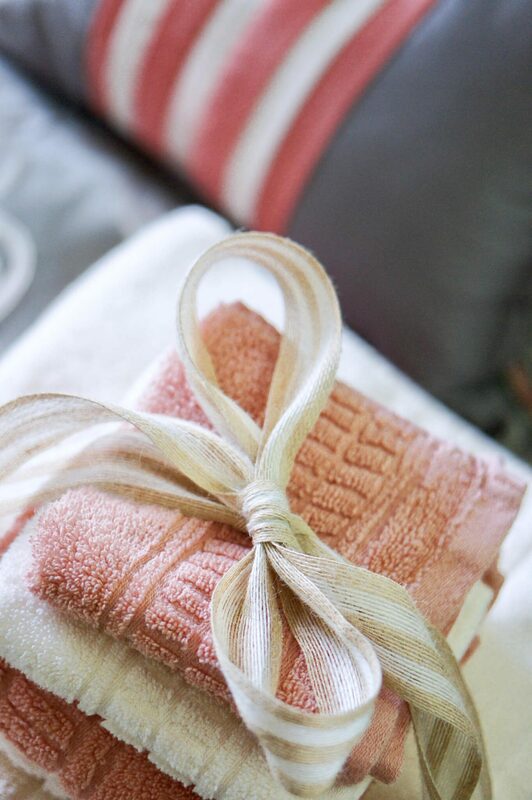 A freshly made bed and two sets of soft, plush towels are ready and wrapped up in a pretty bow (it’s all about presentation, right?). 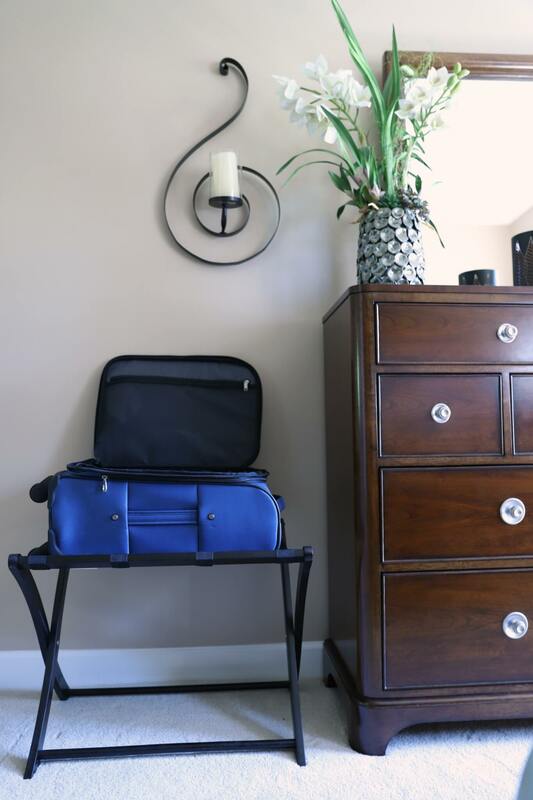 A luggage rack makes it easier for guests to unpack! I think what makes guests feel even more special is a welcome basket! A customized basket contains necessities such as bottled water, slippers, notepad, lotion, hand and foot creams, hair products, soap (I’ll provide you with more ideas below) and other non-essentials such as snacks (granola bars, chips, candies, chocolates – although some may argue this IS a necessity). 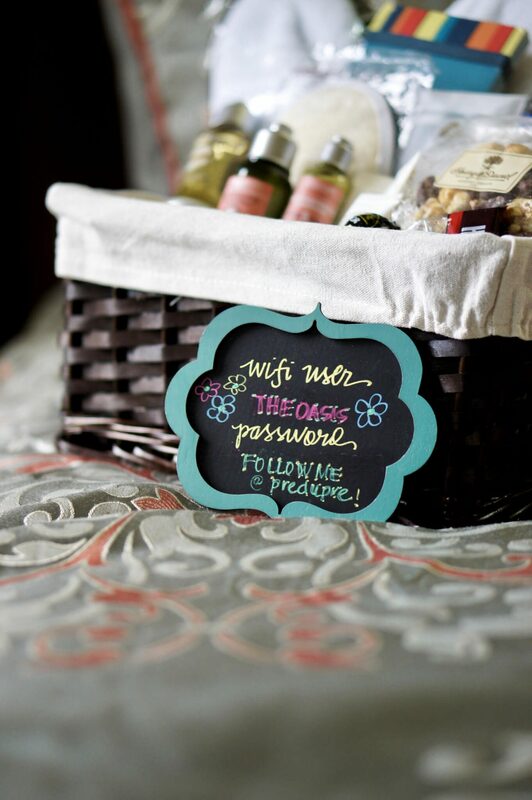 Make the answer to that important question, “What’s your wi-fi password?” creative by including it on a cute and colorful mini-chalkboard! We also have other items available in the bathroom: extra rolls of toilet paper, tissue, hair dryer, other hair products (shampoo/conditioner/styling), cotton balls, ear swabs, toothbrush, toothpaste, lotion, floss, razors, and feminine products. Having these things available truly provides your visitors with all the comforts of home. 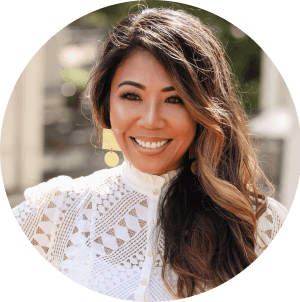 Being hospitable and welcoming guests takes a little bit of extra planning, time, and effort, but it’s sooo worth it when they grin from ear-to-ear, feeling oh-so-special! After all, who doesn’t want to be pampered? How do you like to welcome your guests? 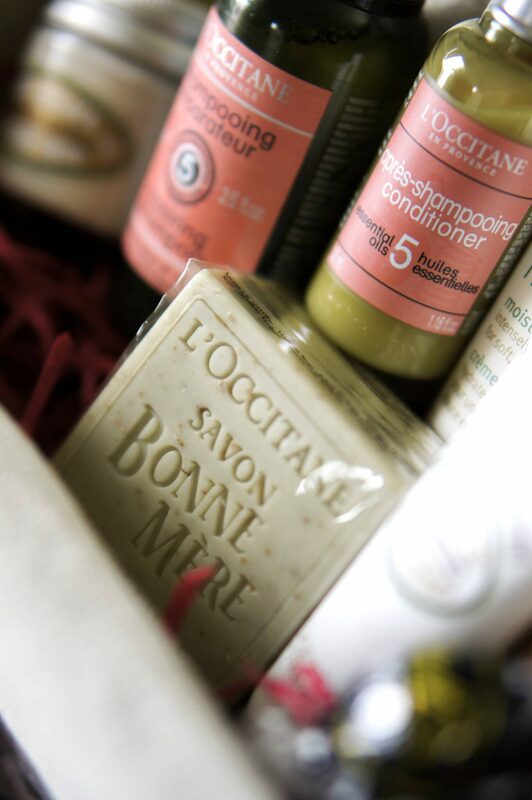 What’s in your welcome basket? Wow what an amazing idea this is – I’m definitely going to do it next time we have guests!